This cake is so simple, and I already had everything in my refrigerator and pantry to make it. The strangest ingredient the cake required was unsweetened applesauce, which I already had. It only took a couple minutes to mix together. And the batter is delicious. I find a delicious cake starts with a delicious batter. This batter was finger licking good. It also smells delicious while it bakes. I love everything about this cake. It is on the denser side, but oh so delicious. This may be one of the best cakes I have ever had. No lying! I also made a frosting for this cake, which is completely optional but very encouraged. This is a light version of a chocolate buttercream. 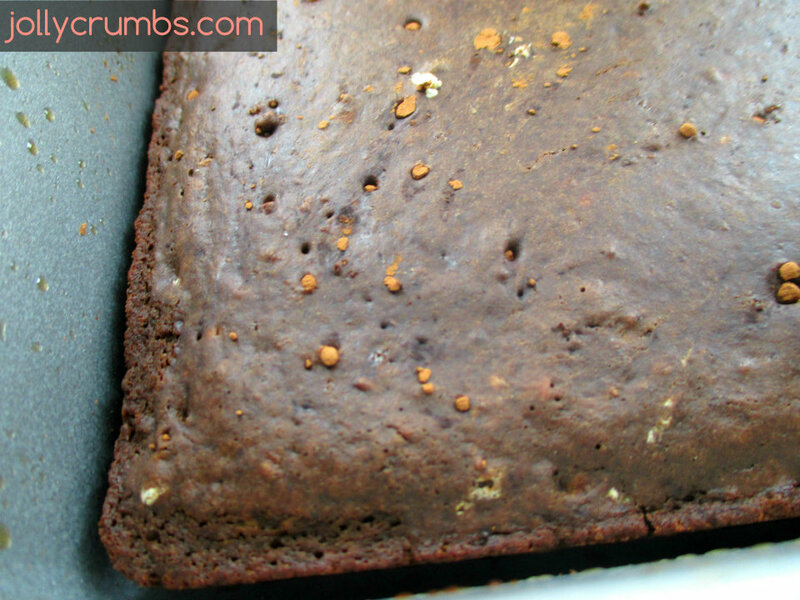 It makes just enough frosting for the cake and a little to sample along the way. The cake alone is delicious. 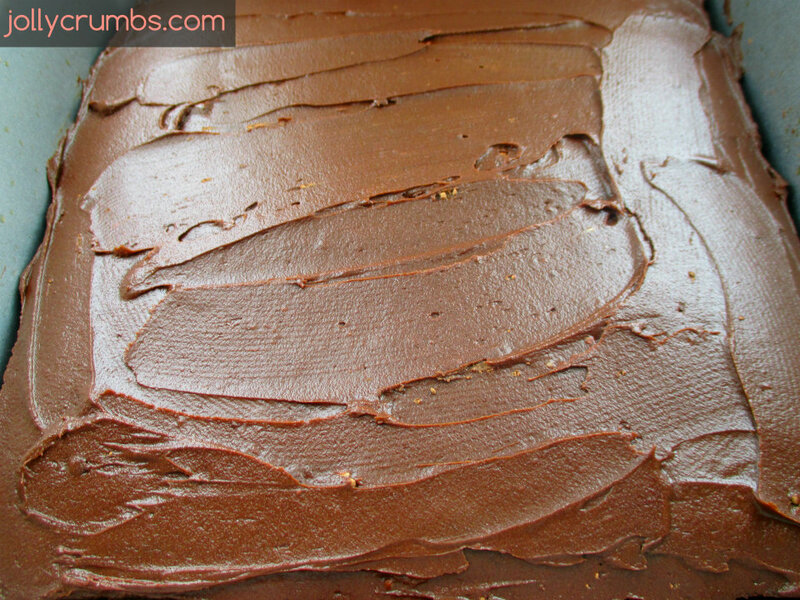 The cake with the chocolate frosting is absolutely decadent and one of the best I’ve had or made. This cake recipe comes together like any other cake. Mix together the flour, cocoa, baking powder, baking soda, and salt in a large bowl. In a separate bowl, combine the applesauce, milk, sugar, and vanilla. You will want to mix thoroughly so all the sugar dissolves. Once you have mixed the wet ingredients, add them into the dry ingredients. 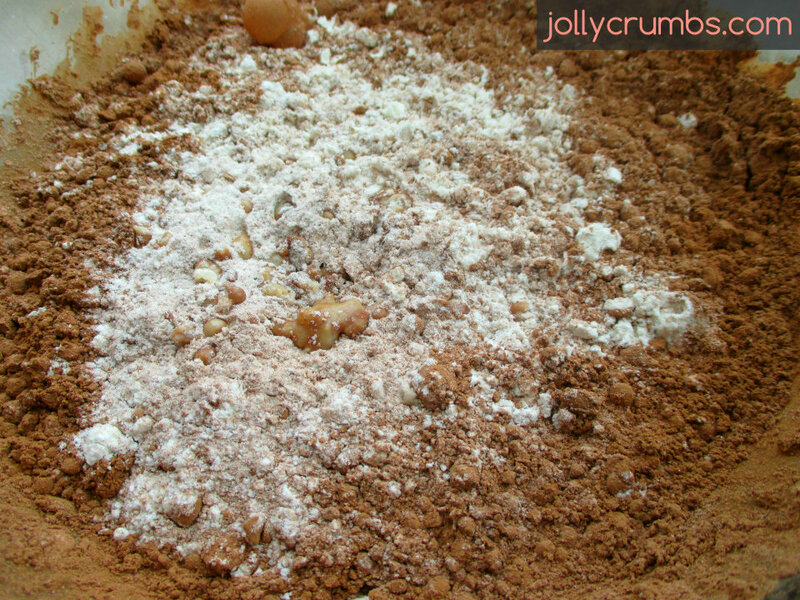 Mix the wet and dry ingredients together until just combined. Some lumps of cocoa powder and flour is fine. Pour the batter into the prepared pan. The batter is thick, so spread and shake it around the pan so it is evenly distributed. Bake the cake for 18 to 25 minutes or until cooked through and toothpick inserted in the center removes clean. You don’t want to over bake the cake. It should spring back when pressed on. This cake is dense and thinner, so overcooking it will dry it out. Let the cake cool on a cooling rack completely before you frost it. When the cake is completely cooled, start on the frosting. This frosting is fabulous. I’ve never made a chocolate frosting that was so delicious. I highly recommend this frosting with this cake, but feel free to leave it unfrosted or frost it with your choice of icing. If you use this recipe, use a hand mixer or stand mixer to cream the softened margarine and sugar together until light and fluffy. I typically cream my margarine first, then slowly add in the confectioner’s sugar. I like to mix in a little confectioner’s sugar at a time so it is easily managed. Once you get the margarine and sugar creamed together, add in the cocoa powder and vanilla. Mix everything together until it is well combined. At this point, I thought all was lost. My frosting was dry and crumbly. It did not resemble a frosting at all. So, I just kept mixing. It took a couple minutes, but it did come together. So if yours is the same way, just keep mixing. I did not have to add any milk to get it to the right consistency, but feel free to if you need to. My frosting came out perfectly smooth and creamy, just the right consistency, without adding anything else to it. It was deliciously chocolaty, decadent, and surprisingly not chock full of calories. This frosting recipe doesn’t make a whole lot of frosting, but it makes just the right amount for this cake. I used it all and spread it on evenly. 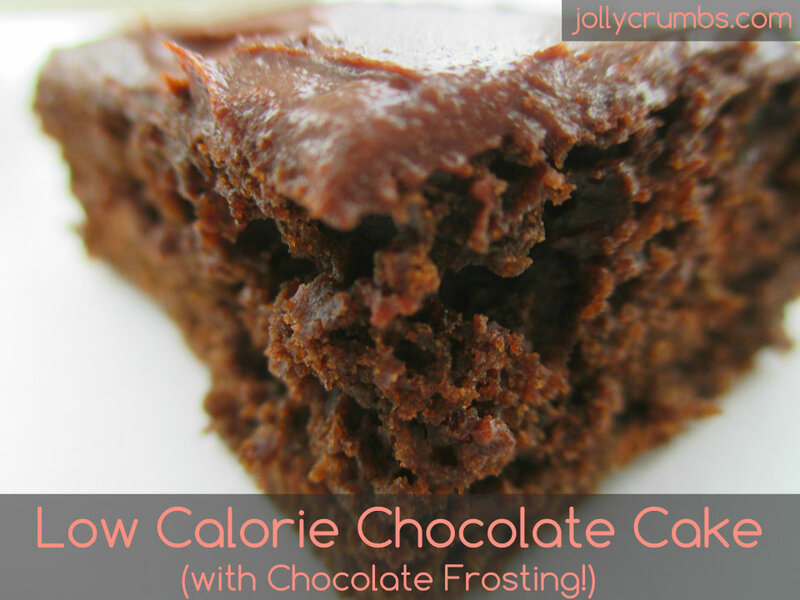 I have found my new favorite chocolate cake and chocolate frosting recipes. This is so delicious. I’m almost at a loss for words how perfect this cake is. I didn’t really want to share with Samuel, but it is the season of sharing. I love everything about this. The cake is perfectly dense and chocolaty. It isn’t overly sweet, and it remains very moist. The chocolate frosting is also delicious. It is rich, but it is not overly sweet. These two really are a wonderful combination. I love how easy it was to make the cake and frosting. Even better, the calorie content. I can have a nice piece of cake or two for lunch dessert and not feel guilty. This is the perfect piece of cake; you will love it! Preheat oven to 355°F. Spray an 8” round cake pan or 8×8 pan with nonstick cooking spray. If making cupcakes, grease or line cupcake pan. 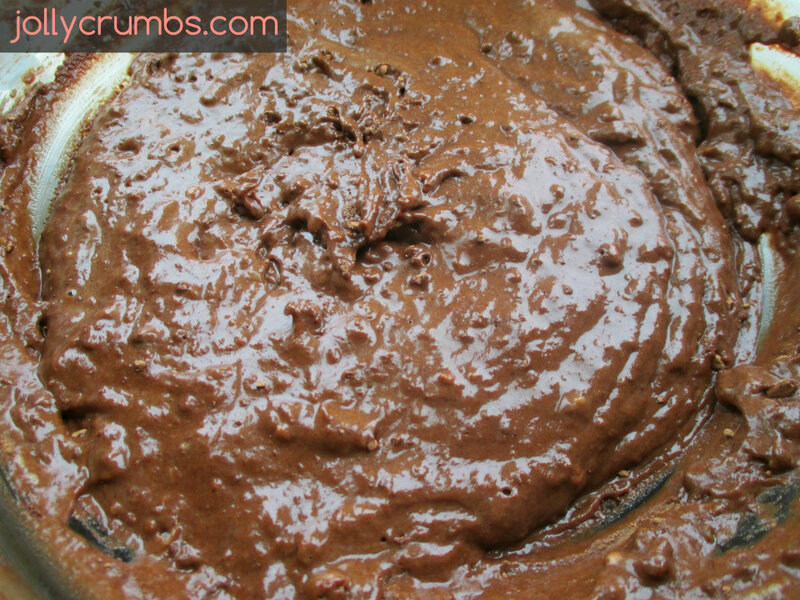 In a large mixing bowl, combine flour, cocoa, baking powder, baking soda, and salt. In a separate bowl, combine applesauce, milk, sugar, and vanilla. Stir until sugar dissolves. Pour into the dry ingredients. Mix ingredients until just combined. Pour into prepared pan. Bake for 18 to 25 minutes, or until cooked through and toothpick inserted in the center removes clean. If you are baking cupcakes, bake for 10 to 15 minutes or until baked through. Let cool completely before frosting. If your cake mix is not wet enough, add in more milk or water until it is a thick cake batter consistency.